Pilot programs also allow municipalities and cooperatives to determine the level of interest before committing to large infrastructure investments. With a chance to monitor the service, entities can carefully plan their next steps in a fiscally responsible manner based on public response. Holland, Michigan has had an incredibly successful rollout of residential FTTH after a successful pilot program. Westfield, Massachusetts’ wildly successful FTTH pilot project has led them to pursue citywide deployment and they've also begun assisting neighboring communities with potential pilot projects. Over the next six years, OMU will issue up to $23 million in bonding to cover the cost of fiber optic installation for the entire service area in Owensboro. OMU has scheduled the next expansion into the Wesleyan-Shawnee Neighborhood to be completed by 2019. Owensboro Utility Commission also entered into an indefeasible right to use (IRU) the Internet infrastructure being deployed as part of the state’s Kentucky Wired project. The state is deploying the middle mile open access network to provide high-quality Internet access for municipal facilities in local communities across the state and as a way to encourage competition. Kentucky Wired is entering into similar agreements with other local communities that have their own fiber infrastructure. 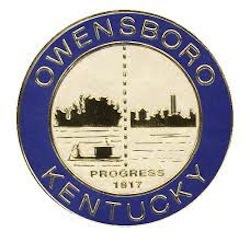 Owensboro’s Messenger-Inquirer reports that the two entities have come to a cost sharing agreement to replace 49 transmission poles in the community. The cost savings is significant for OMU and access to the Kentucky Wired network will provide another middle mile path for the community's network. "These are great opportunities for residents living in these areas. We are pushing to get this done as quickly and efficiently as possible, because we recognize the need for fast, reliable internet access in this day and age."